is the founder and CEO of Xtreme Results, LLC where she serves as a powerful catalyst for life and business transformation. She has mentored over 12,500 professionals, encouraging them to rediscover their passion as she inspires, energizes and empowers them to create the amazing life and business of their dreams. Melissa has been mentored by and personally trained with some of the Masters in personal development including John C. Maxwell, Paul Martinelli, Anthony Robbins, Les Brown, Callan Rush, Mary Morrissey, Nick Vujicic, Bob Burg, and Bob Proctor. She now shares her message of transformation worldwide through coaching, training, mentoring, and keynote speaking. Though she began her career in information technology with a degree from the University of Wisconsin – Milwaukee, Melissa quickly discovered a passion for helping others in their journey of transformation. Not surprisingly, her expertise in systems design combines with her knowledge of human potential to build extremely effective programs for personal and professional growth and transformation. And it helped shape her career. And learn she did. Not only was she mentored by the most notable figures in the industry, Melissa became part of Bob Proctor’s international mentorship team coaching and training new LifeSuccess Consultants. Then in 2011 Melissa was further recognized for her passion and excellence, partnering with John C. Maxwell, the world’s leadership expert, as a faculty member and mentor for his Team Certification program where she trained, coached, and mentored professionals on how to build their own coaching, speaking, and training businesses. As part of an elite international team of 6, she has mentored professionals from more than 140 countries. She was the only woman on the Mentorship team and took that responsibility to represent and serve the members of the program extremely seriously. “It was a true honor!” she says. 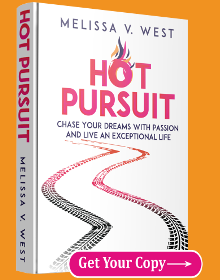 Most recently, in February of 2016, Melissa published her second book, Hot Pursuit: Chase Your Dreams with Passion and Live an Exceptional Life. This book is about her journey to living her own dream and how you can too! 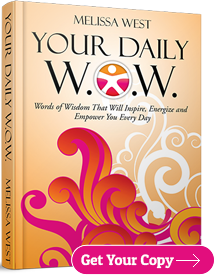 She published her first book, Your Daily W.O.W! Words of Wisdom That Will Inspire, Energize, and Empower You Every Day! in February 2014. Both books are available on Amazon.com and autographed copies are available on this site under the “Products” page. Melissa West graduated from the Institute for Professional Excellence in Coaching (IPEC) with her Professional Coaching certification (CPC) and Energy Leadership Index Master Practitioner certification (ELI-MP). 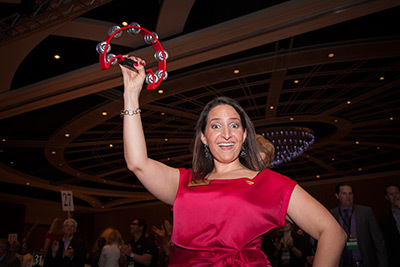 She is also licensed and certified as a John Maxwell Team Founding Member and as a LifeSuccess Consultant. Melissa, her husband Chris, and two daughters enjoy spending time together at their home in Raleigh, NC. When not coaching or training clients, Melissa enjoys traveling, reading, watching spy movies with Chris and spending time with friends and family. Embracing her spirit of adventure, Melissa has jumped out of a perfectly good airplane twice (parachute attached of course!) and run two full marathons.